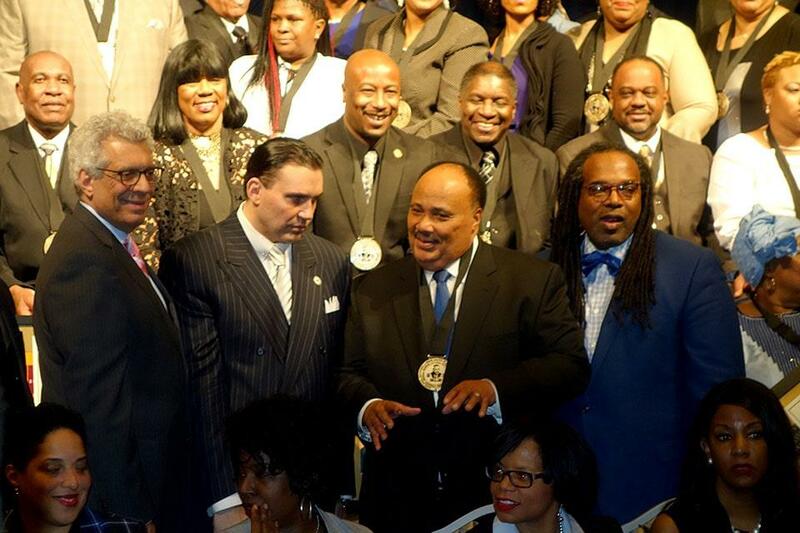 The son of two of the 20th Century's most famed civil rights activists called for continued work toward racial equity and social justice at the 2019 MLK Memorial Tribute honoring the life and legacy of the Rev. 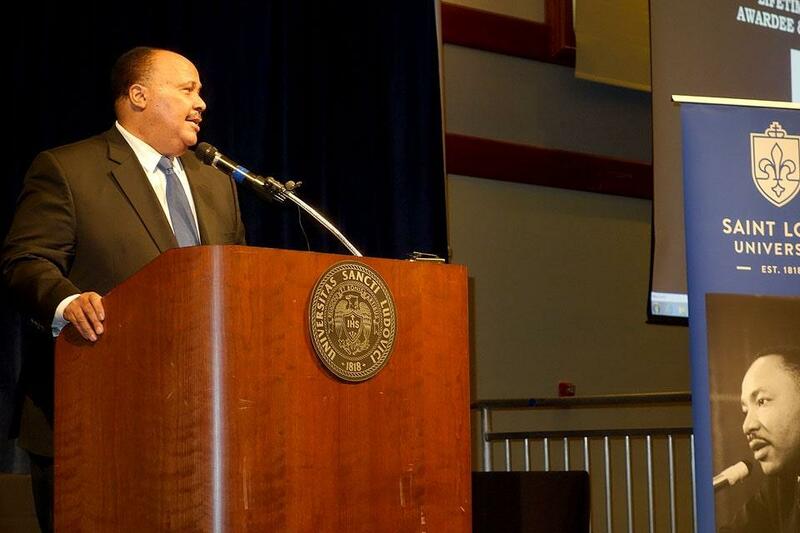 Dr. Martin Luther King, Jr.
Martin Luther King III spoke of the need to continue his father's work. 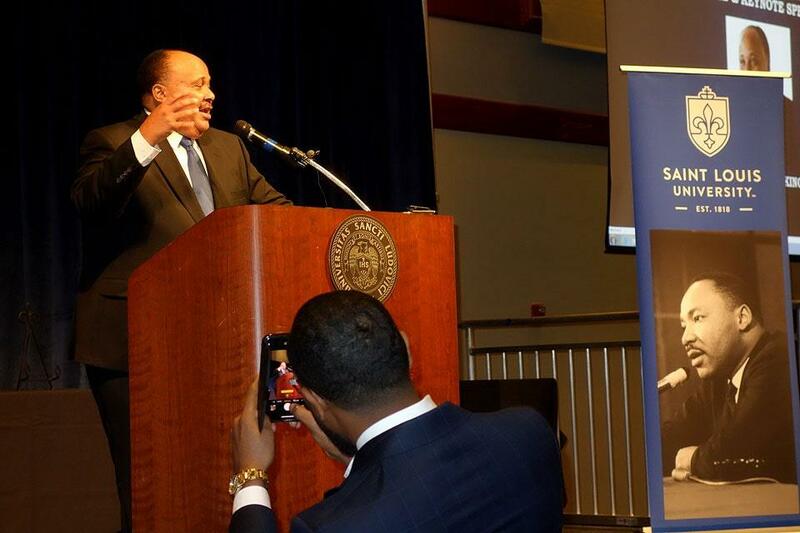 Recalling his feeling of awe listening to his father's "I Have a Dream Speech," as a five-year-old, Martin Luther King III told the crowd gathered in Saint Louis University's Wool Ballroom, "that vision that my father and mother championed never wavered." "Discrimination is a tenacious evil," King III said. "We are a better nation than the behavior we exhibit. We've got to find a way to bring Americans together. We're too divided, too segregated, too isolated from each other. We've seen bursts of greatness but we have not yet been great. We become great because we have greatness in us." King, the son of Civil Rights leaders the Rev. Dr. Martin Luther King, Jr. and Coretta Scott King, was the keynote speaker at the 2019 Rev. Dr. Martin Luther King Jr. Memorial Tribute at Saint Louis University’s Busch Student Center on Thursday, Jan. 17. 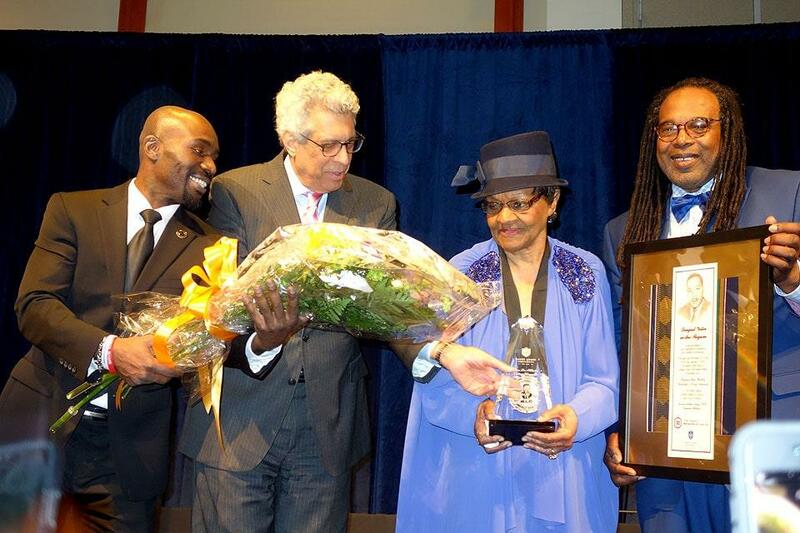 The annual event honors the elder King’s legacy of humanitarianism, social justice work and his campaign for racial equity. The memorial is co-hosted by SLU and the Urban League of Metropolitan St. Louis. 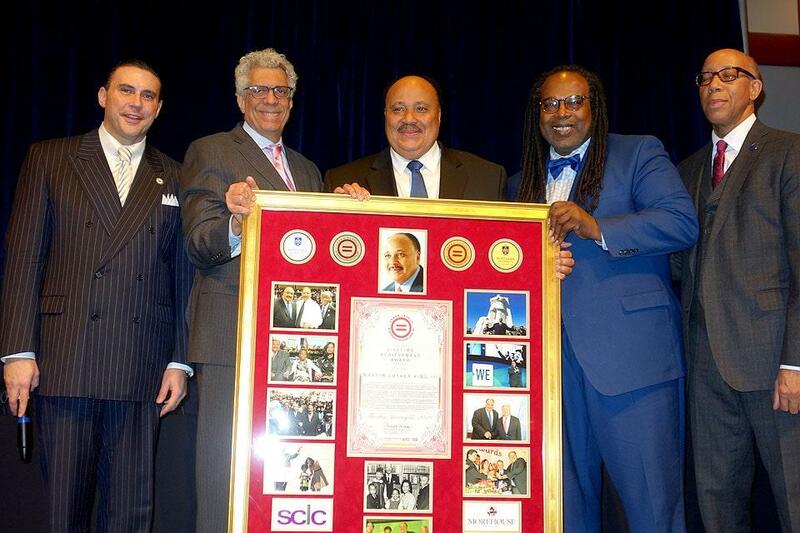 In the tribute event’s seven-year history, it has played host to noted civil rights figures including Ambassador Andrew Young last year. Martin Luther King Jr. spoke at SLU in 1964, delivering a speech that focused on racial justice. Soloist Nakischa Joseph performed “Lead Me Lord” as the event got underway. Following a welcome by University President Fred P. Pestello, Ph.D., and prayers by Christopher Collins, S.J., assistant to the president for mission and identity, SLU alumnus Michael McMillan, president and CEO of the Urban League, welcomed those gathered. King III called the crowd’s attention to pressing issues including family separations at the U.S./Mexico border, continued discrimination on the basis of race, gender and sexual orientation, voter suppression and economic insecurity. He recalled his parents’ belief in their fellow women and men to bring out change and urged those gathered to take up the Civil Rights Movement’s call to action. Each person, King III said, building off a quote by educator Horace Mann, can contribute to humanity’s progress and well-being, even in the face of social division and political discord. He noted that his father would be 90 this year, and that, because the elder King was killed before his 40th birthday, much of his work had been left undone. The time for celebrating his father's legacy, he continued, is coming. But now is the time for work toward justice, King told the crowd, not a celebration of a job well-done. The event also honored Frances Mae Shelby, a political and civic activist who has never missed voting in an election in 75 years; community organizer and activist Kayla Reed; Mona Hicks, Ed.D., SLU’s associate vice president and dean of students; and elected officials from St. Louis County and City, including the city’s full Board of Alderman. 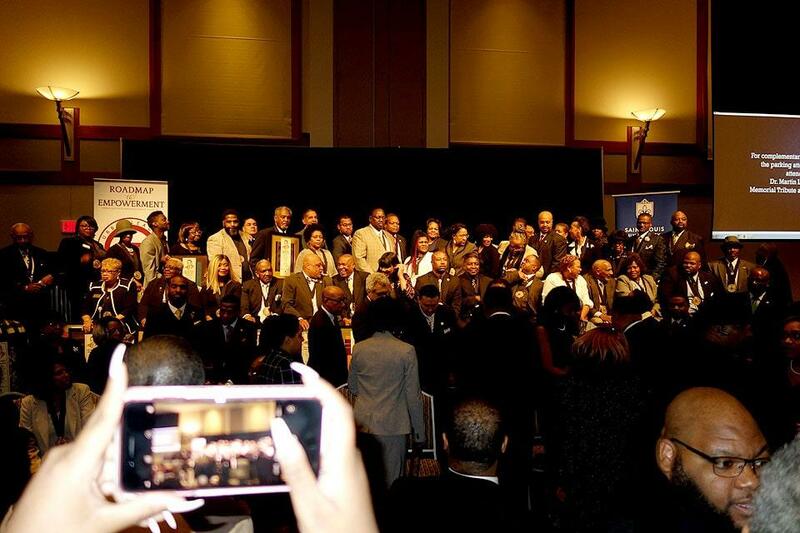 In all, more than 180 regional leaders were honored and they would gather for a large group photo at the end of the memorial celebration. We've seen bursts of greatness but we have not yet been great. We become great because we have greatness in us." McMillan laid out the accomplishments of the day’s awardees. McMillan praised SLU’s Mona Hicks, Ed.D., dean of students, for her devotion to SLU students. He noted Reed’s impact on St. Louis communities, and 93 year-old Shelby’s passion for getting out the vote. All three women were among the day’s honorees. Shelby praised God and received standing applause as she received her award from University President Fred P. Pestello, Ph.D., and SLU's Vice President for Diversity and Community Engagement Jonathan Smith. 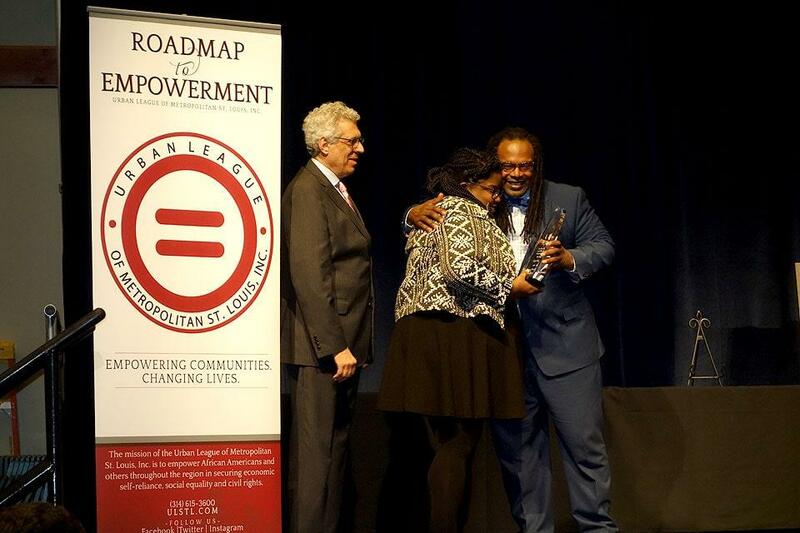 The Urban League also honored the University with a special award for its work in the spirit of Dr. King’s call to action.